Yesterday was Day 1 of National Novel Writing Month and I’m happy to report I’m on track having written 1760 words yesterday! The goal of NaNoWriMo is to write a 50,000 word novel–that’s just under 2000 words a day–during the month of November. The idea is to plough through, to not over-think things, and write, write, write. I think it’ll be a good exercise no matter if I “win” by completing the full 50k or not. I’m going to win, though! This isn’t my first attempt at writing fiction, but it’s already my most successful. I think that’s partially because I spent a fair amount of time in October brainstorming my backstory and setting, as well as plotting my story. I didn’t end up with a complete outline of the plot as I had intended, but the work I put in has definitely been beneficial so far. 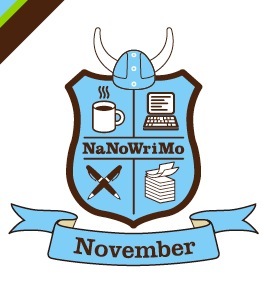 You can follow my progress on my NaNoWriMo user page or check back here for updates. I’ll put a “Word Count Widget” in the sidebar on the front page once the NaNo folks finally get them working.